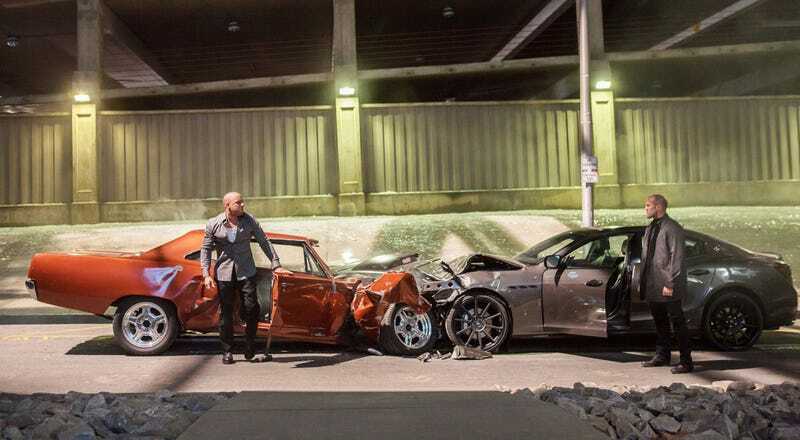 You may be wondering, as you decide whether to watch the seventh Fast & The Furious film, whether it is either faster or more furious than its predecessors. Well, an exhaustive study by Bloomberg indicates that, yes, it is. On both counts. The very serious news organisation sat down with the flick (well, more impressively, the whole series) and tracked how much time was fast and how much was furious. If you’re wondering what counts as either, there are very helpful definitions, which will assist you in figuring out how to classify scenes that may be both fast and furious. Oh, and if you were wondering if it was a waste of resources to just track those two metrics, know that they also recorded bad language, “calmer moments” and “usages of nitrous oxide”.